Christopher Jenkins is President of Nor’wood Development Group, a locally-owned real estate and development firm in Southern Colorado for more than forty years. The group has developed a prominent portfolio of planned communities, apartments, shopping centers, and corporate centers. He also supports the Colorado Springs community with the the Nor’wood Foundation which focuses its philanthropic efforts on Christian initiatives for youth, the elderly, and regional arts and culture. Prior to joining Nor’wood, Chris was Director of Finance for a Denver real estate investment firm where he managed the ongoing financing for retail properties in multiple states. 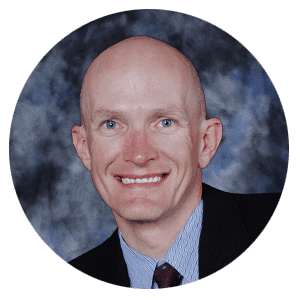 He holds a Bachelor of Science degree in Business Administration, Finance and Real Estate from the University of Denver. Chris is community-connected and committed to leading and supporting a downtown renaissance in Colorado Springs, and he serves as a director on several boards including The Downtown Partnership, Downtown Development Authority, and the Colorado Springs Regional Business Alliance.